Dim the lights and cue the music as we celebrate Alonzo’s 1st birthday party inspired by Illumination Entertainment’s 2016 animated film, Sing! 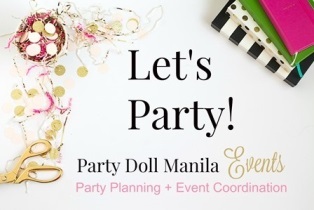 Together with Party Project Manila’s awesome styling and Party Doll Manila’s spot-on party planning, this event turned out to be a harmonious blast of fun and excitement! Read on and check out all the juicy scoop by Cradles! Alonzo’s charming invitation pretty much resembled a colorful theater handbill featuring an all-star Sing cast with Alonzo as the biggest star of the show! Just like in a movie première, Alonzo’s guests walked the red carpet and were welcomed by the debonair Mike the mouse and Meena the shy elephant! The stage was a scene straight out of the movie – the Moon Theater stage came to life with gentle, soft-spoken Johnny, the motherly Rosita and of course the optimistic manager, Buster Moon! The tables mimicked the colors of the Moon Theater stage – bright red and blue. And staying true to the theme, each table had a complementary bag of popcorn. After all, movie theaters and popcorn go together like movie theaters and popcorn – it’s a time-honored tradition! Alonzo’s cake by Sweet Creations by Mums simply looked too good to eat… a four-tier cake featuring fondant replica of theater owner, Buster Moon and his talented crew – Mike, Gunter, Meena and Rosita! Alonzo’s sweet treats gave the guests a sugar high that could make them sing for hours. There were cupcakes, cookies, cake pops, rice crispies and chocolate candies that were made even more irresistible with such detailed fondant designs of the Sing characters. There was never a dull moment during Alonzo’s birthday bash – children took part in different games and coloring contest. The adults also had a blast in a race that involved a hat, a fishing pole and a blindfold. To top this off was a jaw-dropping levitation trick by Wizzo. Alonzo’s magician had some mad skills! The guests were a captive audience listening to the synchronized trio of Rosita, Meena and Johnny belting a selection of songs from the movie. Alonzo’s young guests got their creative juices flowing as they sat and personalized their own paper mache boxes and mugs with tons of ornaments and colors. Everyone was given their own cool drawstring tote bags full of choice goodies! The party would not be complete without a photo to commemorate the occasion. Alonzo’s guests posed with family and friends with a photo wall that evokes the glamour of Hollywood. Meena, the Elephant with the incredible voice, came to her own with the love and support of her real family as well as her theatre family. Alonzo’s family radiates with love for him so much so that one can be almost sure that his star will shine like a light for others. This party is adorable!! I’m planning on throwing a Sing themed birthday party for my daughter this year and wondering where you got the character cutouts?! Can’t find them anywhere online! So adorable! Could you recommend the person for the invitation artwork? Thanks!